A study by the United States' Department of Transportation (DOT) concluded that electronic throttle systems were not at fault in reported cases of unintended acceleration by Toyota vehicles that precipitated a series of recalls in the US. The DOT used engineers from NASA to examine systems and software in nine Toyota vehicles where the owners of which experienced unintended acceleration. Toyota's own investigations assigned blame to loose floor mats and poorly manufactured throttle pedal mechanisms and issued recalls to fix these issues. 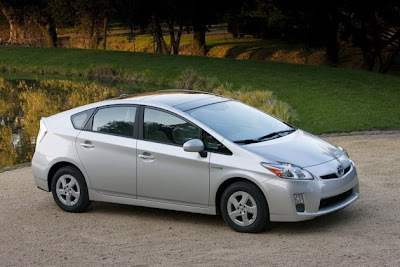 Toyota also implemented systems in its vehicles that cut off acceleration when the brake was applied. Congress asked the government to look into the reported incidents and the DOT released its final report today. Investigators examined lines of code and even blasted the cars with electro-magnetic radiation to cause a failure. The report exonerated the electronics that govern the acceleration systems. Reports of unintended acceleration reached the public after a fatal crash involving a Lexus ES350. The DOT saw an increase in complaints about unintended acceleration in Toyota vehicles and began the study. Toyota's study found that it had identified the problems correctly and that there were no problems with the electronics. Even so, Toyota's reputation and sales in the North America and Europe took a hit in an already tough economic climate. No cars in Australia were recalled over unintended acceleration and the company romped away as the sales leader in 2010.